Leave it to man to so muddy up what is often times so simple to understand. God truly uses the commonplace to confound the wise. There is a reason why the Bible instructs us to cast off human wisdom and to not lean upon our own understanding beloved. For the ways of God are so far above ours. His thoughts are so far above our thoughts. Yet for all of our wisdom often times we are so unwise. We over complicate things that should be plain in the text. We create whole doctrine out of thin air while avoiding sound hermeneutical principles along the way. What is worse is once we have arrived at our core beliefs we turn them into dogma. We become unteachable to even the possibility that maybe we got it wrong. From dogma we turn them into ritual. The answer of, "that is how we have always believed" becomes more acceptable than thus sayeth the Lord. I realized a few years ago when I first got into discernment ministries that most of us do not want the truth anymore. We just want confirmation that our personal worldview is accurate. Even if it is not. Even if the Bible actually contradicts it. At first blush this may seem contradictory. The Matthew verses state clearly that we are to baptize people in the name of the Father, Son and Holy Ghost yet the Acts verse states only in the name of Jesus. What is a Christian to do? Well the first thing we must do is acknowledge the sufficiency and sovereignty of God. He is omniscient, omnipotent and omnipresent. He spoke the entire universe into existence with a single spoken word. Why is it important to start here? Because there is no way that this all powerful and all-knowing God would make a mistake or provide such a contradiction. Once you realize that you understand first of all that these two verses do not contradict themselves at all. That means it is only human traditions and wisdom that is causing the disconnect. Let us start with the verse from Mark. If you are using a good Bible you will notice a footnote regarding Mark 16: 9-20. That footnote indicates that these verses were not part of the two oldest and most respected manuscripts. As one might imagine, the older manuscripts are generally regarded as more accurate because there is less time between the actual writing of the Gospel and the recording of the manuscript. Additionally, experts have agreed that the writing style and vocabulary used in these verses does not match the rest of the Gospel. There are in fact 18 words in these 11 verses that appear nowhere else in this gospel account. This has led many theologians to rightly conclude that they were probably added later by a scribe. So what does this mean for us as believers? Since the verses do not contradict the veracity of other Scriptures we inherently accept them but we do not use them to create doctrine without parallel support from other places in the Bible. To do so is dangerous and very likely inaccurate. Perhaps you have read about those strange churches that handle live snakes during service. In fact, one of those pastors was killed by a snakebite last year. Guess where they base their theology on? Mark 16:18. That said, even if you accept this verse for doctrinal purposes it still does not teach that baptism is required to be saved. That is a gross misunderstanding and twisting of the verse. First of all there is a logical fallacy in assuming that because it says that those who believe and baptized are saved that the inverse must also be true. Namely, that those who are not do not share in salvation. 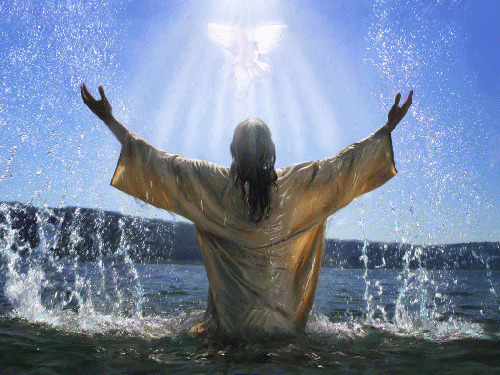 It is absolutely true that those who believe and are baptized will be saved. It is not true, nor stated however that those who do not are not saved. More importantly, the end of the verse qualifies what the writer is saying. It is the belief that results in salvation, not the baptism. How can we be sure? Because he who does not believe is condemned. Not he who does not believe and is not baptized. We also must understand the local context. In these days there was no delay between believing and baptism as we see today in the church. Time and time again we see immediate baptism following conversion. So to the writer, baptism went along with belief but to infer that means it is required for salvation is simply not supported in this text. That same fact, that baptism accompanied conversion appears to drive what Peter was getting at in the next verse the oneness folks like to leverage. But within the very context of the verse their argument falls apart. Peter explicitly says it is not the act of baptism, removal of dirt from the body, but rather as an appeal to God for a good conscience through the resurrection that leads to salvation. Once again, it is faith in Christ, not the mere act of baptism that saves someone. Baptism only removes the dirt beloved, but faith in the resurrection is what saves. Now to Peter these things went hand in hand. Everyone who was saved was baptized; or were they?